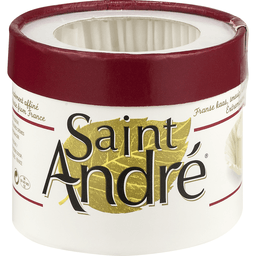 Saint Andre® Triple Creme Soft-Ripened Cheese. 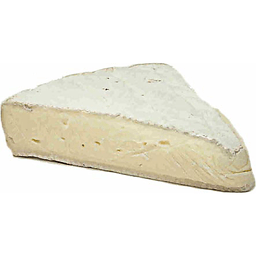 Heavenly triple cream cheese from France. Anco. Cashew cream fermented with live cultures. Made from plants. Vegan. USDA Organic. Certified Organic by Organic Certifiers. No soy or gluten. Cholesterol free. GMO free. Lactose free. Hormone free. Cruelty free. Tomorrow's creamery. Phenomenal for wine pairings; cheese boards; picnics; cooking; sandwiches; snacking. Revolutionizing dairy with plants. The future of dairy is phenomenally vegan and we're leading the way. - Miyoko. 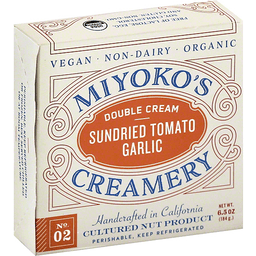 miyokos.com.